Talk about timing: Twitter confirms they’ve bought Meerkat-competitor Periscope, and but a few hours later Twitter makes a move that kills off a few Meerkat features. Much of Meerkat’s success and draw lays in its tight integration with Twitter — something that many have noted could be an issue moving forward, be it that Twitter decides to get into live video themselves. Which, of course, they’ve just done. 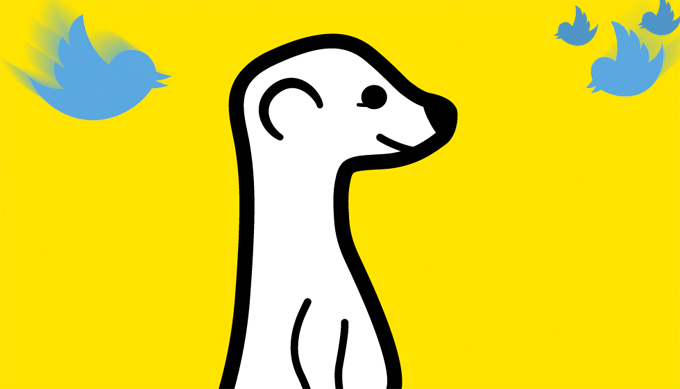 And now Twitter has begun to cut off off Meerkat’s access to Twitter’s social graph. So what’s that mean? Until now, new Meerkat users could login to the service with their Twitter account, and bam — you’d automatically be following anyone on Meerkat who you already follow on Twitter, and they’d be following you back. 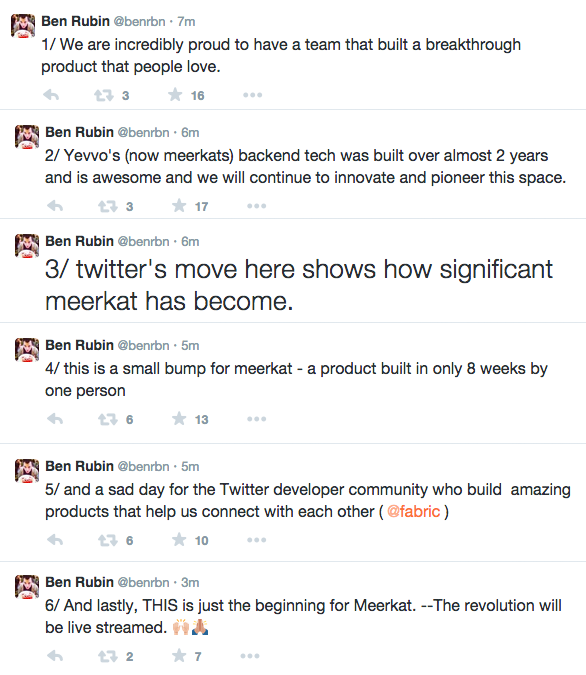 It let Meerkat seem like a very, very natural extension of Twitter. Buzzfeed spotted the change first, when follower counts seemed to be a bit off when creating new accounts. Is it a devastating change? Maybe not — Meerkat already has a fair amount of momentum behind it. But it’s certainly not something the Meerkat team will be excited about… particularly with the now present threat of an in-house-Twitter competitor looming.